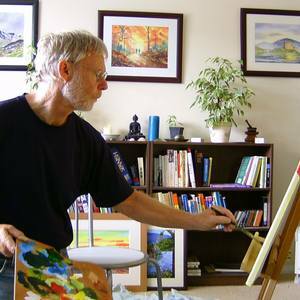 I am an entirely self taught artist and only turned professional after retiring from business. I then moved to Scotland from England and have been painting ever since. I got inspiration from the wonderful Scottish landscape and the fellowship of the thriving artistic community in this part of Scotland.In October 2014 I moved to Norfolk my home county and am busy forging new links here.I have a new exhibition at Picturecraft Gallery, Holt, Norfolk coming up in 2015. My work is exhibited and sold in Scottish Galleries and also sold from my website. My paintings and prints have sold to America, Canada, Japan, France, Spain, Portugal. Turkey, Italy, Cyprus and the United Kingdom.